Cannot Supinate? Range of Motion Problem OR Proximal Radioulnar Joint Problem? As an occupational therapist, I am well versed in assessing occupational performance, our term to describe engagement in life. We believe that what we do defines who we are – and who we are defines what we do. Sometimes injuries get in the way, and it is my job to collaborate with the patient to identify the obstacle. With careful listening, patients often reveal the problem. “I can’t accept change, turning my hand to feed myself is difficult, and I can’t turn a doorknob.” These are common impairments identified as a supination range of motion deficit, but how we further evaluate the patient may make all the difference in their recovery. The forearm complex is just that – complex. 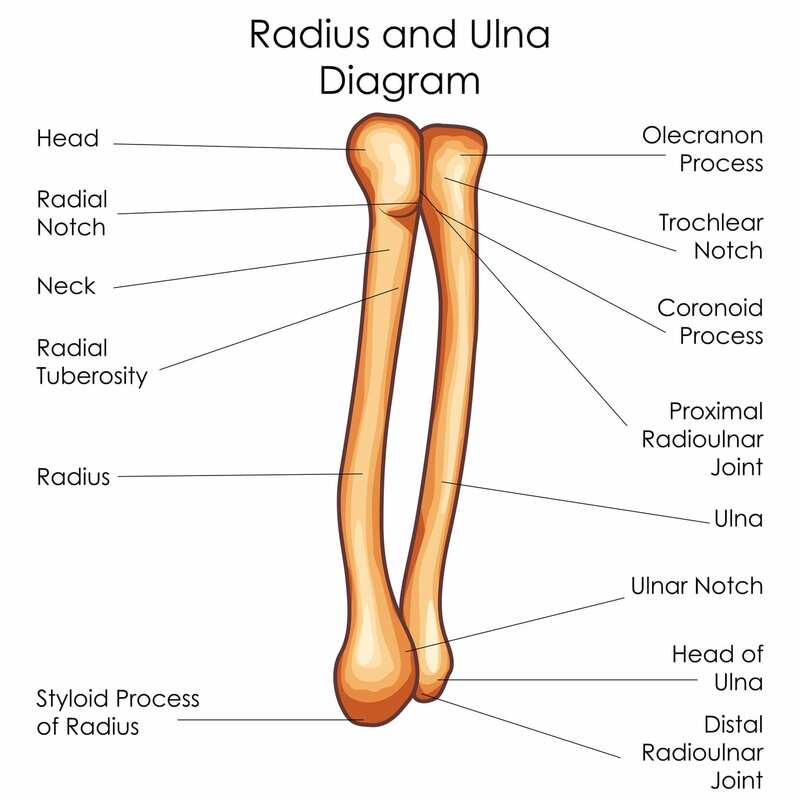 From a bony anatomy standpoint, the radius and ulna are bound together at the ends via the proximal radioulnar joint (PRUJ) and the distal radioulnar joint (DRUJ), and in the middle via the stiff, fibrous interosseous membrane. With forearm motion, the radius swings across the ulna – crossing over into forearm pronation. When a patient cannot complete forearm range of motion, many structures may be causing the impairment. If one structure is HYPOmobile, while its neighboring structure is HYPERmobile, unquestionably the easier to move structure will try to accomplish the motion. When this occurs, clinically, we often see a progressive increase in pain. This is true when we look at the two joint systems affecting forearm rotation. At the proximal radioulnar joint (PRUJ) – the radial head is the convex structure that with supination, rolls dorsal-lateral but slides in a volar-medial direction. This movement is described as opposite arthrokinematics, following the rules of convex on concave. If the PRUJ is HYPOmobile in a volar medial direction, and forearm supination is limited, a volar medial glide of the radius on the fixed ulna following the PRUJ treatment plane will likely improve supination. By addressing this limit first, we are less likely to strain the inherently loose DRUJ and prevent excessive compensatory motions that may lead to ulnar-sided wrist pain. While there are many other structures that need to be systematically evaluated (examples: distal radioulnar joint, interosseous membrane, neuromuscular control), assessing for a glide limit at the proximal radioulnar joint may be the easiest, fastest way to restore normal, pain-free supination. Your patients will thank you when they get back to doing the things they most enjoy doing! For more information on hands-on training evaluating and treating forearm limitations, check out our upper extremity track courses at IAOM-US!